Morgan Bedard is a trained actor having worked with Canadore collage’s Rep 21 program playing Justin in Danial McIrovs’ You Are Here, and MacDuff in Macbeth and Will Donnelley in The Donnelly’s. Morgan played the Musketeer Porthos in all three chapters of the D’artagnan Romances for J2 Productions. Morgan then left North Bay for work in Toronto and appeared on the television show Paranormal Witness on the Space Channel. 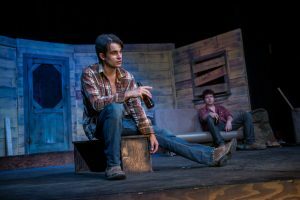 The role of Roy in a stage production of Lone Star brought Morgan back home and following his return he received a best supporting actor nomination at QUONTA and shared the win for Best Ensemble at the Theatre Ontario showcase for his portrayal of John Williamson in Glengarry Glen Ross. In fall 2014 he played the title character in J2’s Robin Hood: King of the Outlaws. 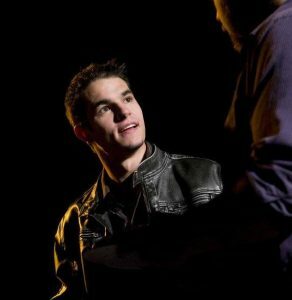 In fall of 2016 he portrayed Mark in the Proscenium Club debut production I Live With Him Every Day: The Tragedy of David and Dave as well as playing the title character of Dracula in Joshua Bainbridge’s adaptation of the classic novel. In winter 2017 Morgan starred as Romeo in The Watershed Shakespeare Festival Collective production of Romeo and Juliet. Morgan had a multi episode guest role on Season 2 and 5 of Hard Rock Medical and in the Netflix series V-Wars. He appeared in the feature films Spare Parts, Anti-Birth, Mary and Joseph, Mums the Word, Frat Pack, Lead with Your Heart and USA/NBC series Eyewitness. Morgan is a compulsive sculptor creating challenging contemporary works from basic building materials. Morgan applies skill and passion to arts projects. Working actively with the Future in Safe Hands Collective creating visual arts installations and performance art pieces including working on the Honest Ed’s Closing reception and with Aanmitaagzi. Morgan recently directed Final Log, at the On The Edge Fringe Festival. He also appeared as Macduff in Macbeth. 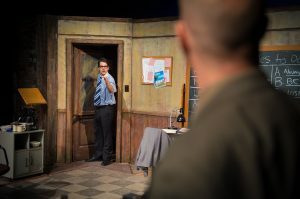 Winner of two Best in Fringe Awards; Jurors’ Choice and Audience Choice and spent his 2017/2018 on tour with the Proscenium Club in The Life and Death of John the Milkman. Morgan is working as Set Designer and Lead Carpenter on Proscenium Club’s most recent show, Sit, James in which he will also appear on stage as Walter.